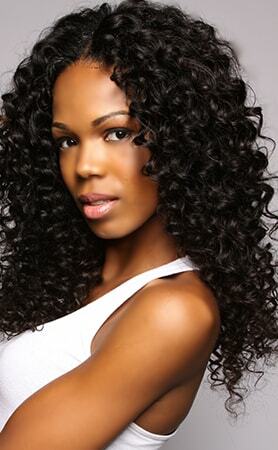 Virgin Indian hair can be styled and colored to your desire. 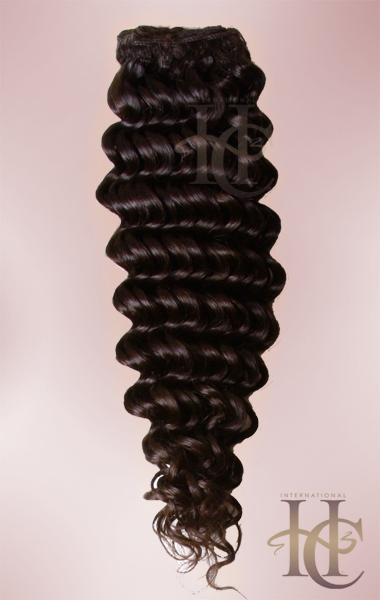 This hair comes in a beautiful deep wave and can be flat ironed or curled. 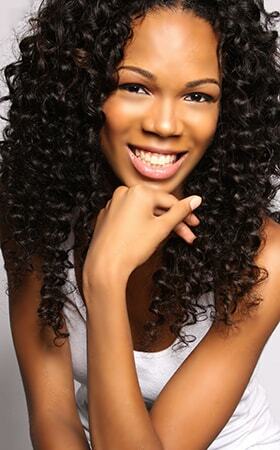 This fun and curly style is a low-maintenance solution to your desire to run your fingers through your hair without the fuss of tangling and matting. This hair is used for full body curly looks. Made with 100% Human Hair. This is an absolute winner. Superb Texture, easy to maintain and looks very natural. I have used Virgin Remy Straight, Body wave and now Deepwave and it's satisfaction garanteed. Thumbs up for International Hair Company, I cannot imagine using any other products but yours. Craig, thanks for the friendly and competent service. I'll recomend IHC to everyone. It's just great. Trying is believing. I absolutely love this hair! I been wearing these extension for your years and dont think any other can top them. It doesnt shed, very natural looking, and love the curl pattern! By far the best! I absolutely LOVE this hair. It's body and fullness is remarkable and it lasts over time. The texture is Beau-TI-ful and is truly top notch! I always receive complements on my hair and highly recommend it to anyone.